The guide link below details the best way to plant and care for your tree once it leaves our nursery. Trees can be planted spring, summer and fall. It is crucial that trees are watered regularly during the first year of planting. Depending on the precipitation of the following years, your trees may require watering regularly as they don't have a large root system established to help sustain themselves. We offer drip irrigation systems and watering bags to help irrigate your trees consistently. What's the best way to transport my tree? Our yard crew will gently load your tree into a pickup truck or trailer using either a crane or machine. In order to ensure you do not damage the delicate leaves of your tree, you will need to bring a tarpaulin to wrap around your tree once it's loaded in your truck or onto your trailer. Tie down straps are also recommended to help ensure your tree stays secure in your truck or on your trailer. Should I be staking my tree? 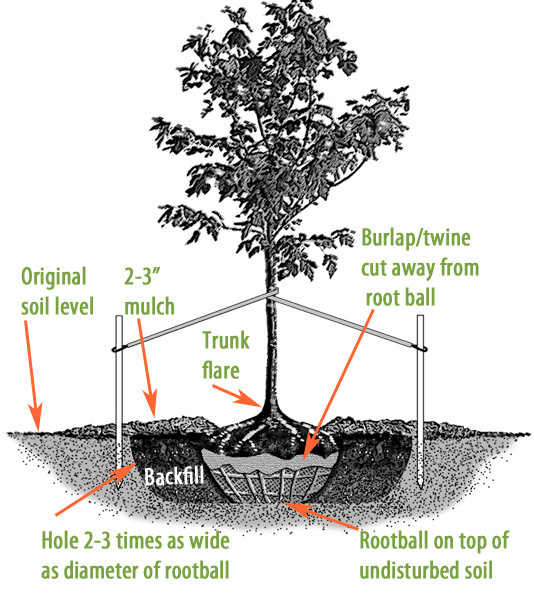 Staking helps support the tree while the new roots are growing, and is highly recommended in high wind areas, or if you plant later in the fall. This helps to keep your tree stable during the winter months. 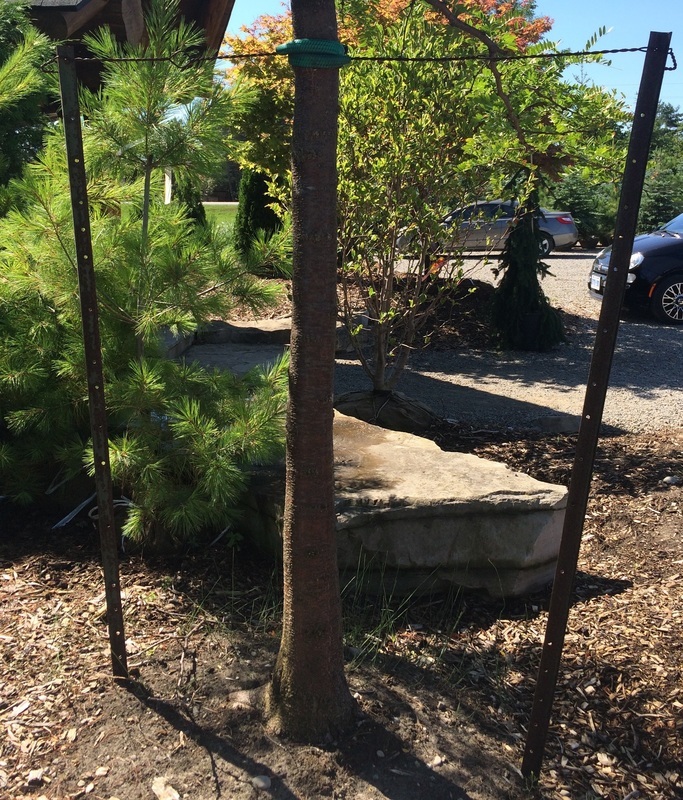 Stakes should be removed roughly a year after the tree is planted. How often should I be watering? Depending on the type of season, we recommend watering at least every third day. Please talk to us about current water requirements. How far apart should I plant my trees from each other? On average, most trees need a minimum of 12 feet or more depending on the type of tree. How much do these trees weigh on average? We dig all of our trees into a wire basket root ball, and these root balls range in weight depending on the size of the tree. They can average from a couple hundred pounds up to a ton or more. Can you install my tree? We offer installation from June to November, and delivery anytime from April to November. Please contact us for installation and delivery rates. 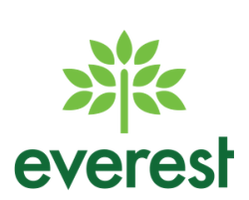 © 2019 Everest Trees. Designed by Gem Webb Internet Marketing and Web Design All Rights Reserved.